Barton Creek flows over limestone and granite as it flows into Lady Bird Lake. 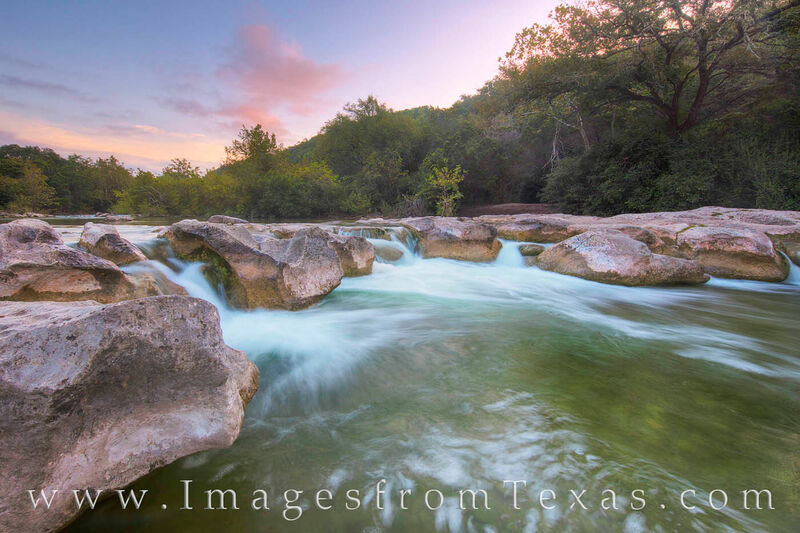 This popular area of the greenbelt near downtown Austin, Texas, is quite peaceful at sunrise. Shortly after, crowds will show up and enjoy the cool pools on hot summer afternoons. Photo © copyright by Rob Greebon.